One of the definitions for Timbuktu in the Oxford dictionary is “any distant or remote place”. Featuring the knowledgeable commentary by African scholars, rich re-enactments, and an original musical score by Vieux Farka Touré, the essential documentary The Manuscripts of Timbuktu critiques this limited view by firmly demonstrating that Timbuktu was once thriving and home to an advanced civilization. It was a leading cultural, economic, scientific and religious centre that made a significant and lasting impact on Africa and the entire world. The film successfully documents that Africa had vibrant scholarly institutions and written cultures long before European intervention. 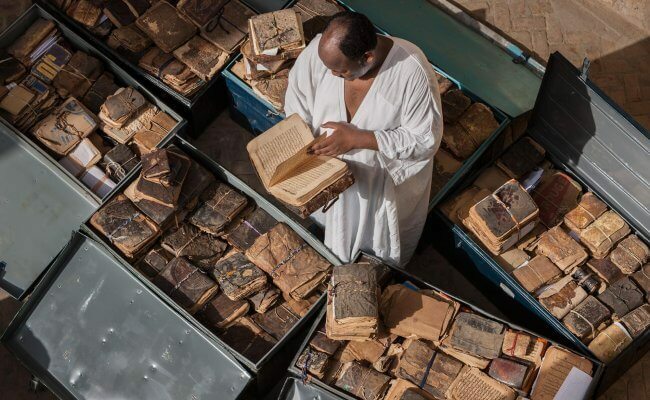 It establishes the importance of preserving the thousands of manuscripts from long ago as an exciting and empowering legacy for Africana scholarship today. There will be a discussion after the screening. 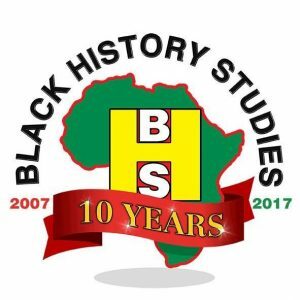 This screening is a part of the African Science Film Series, an exploration of the untold stories of groundbreaking scientific developments by African people, created by Black History Studies in partnership with the Bernie Grant Arts Centre. This event will take place on THURSDAY 6TH SEPTEMBER 2018 from 7pm to 9pm. The event will be held at the Bernie Grant Arts Centre, Town Hall Approach Road, Tottenham Green, London, N15 4RX. Tickets for this event are £8 plus booking fee.